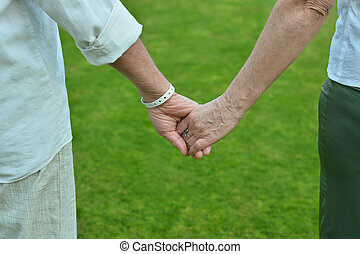 Elderly couple holding hands in autumn park. 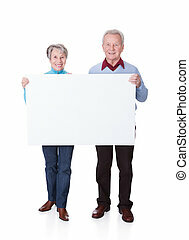 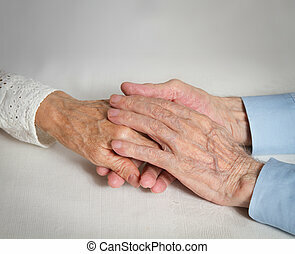 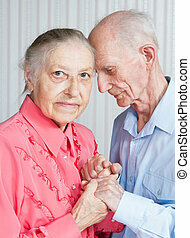 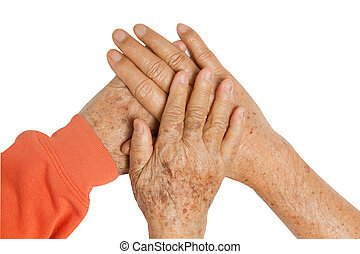 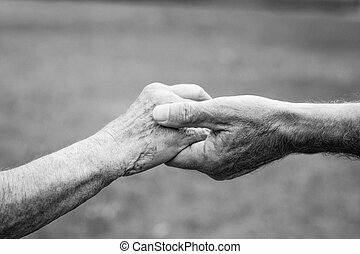 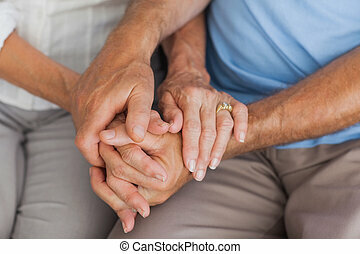 Closeup portrait of smiling elderly couple Old people holding hands. 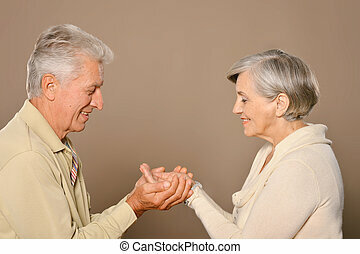 Happy senior couple working on laptop in their living room. 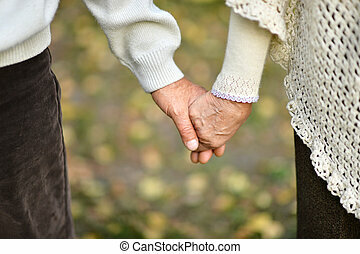 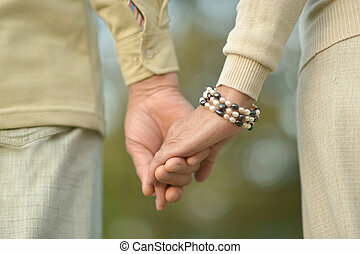 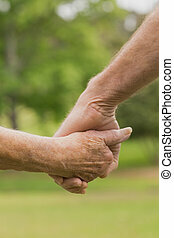 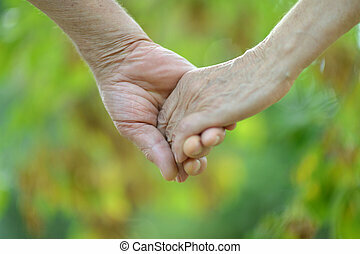 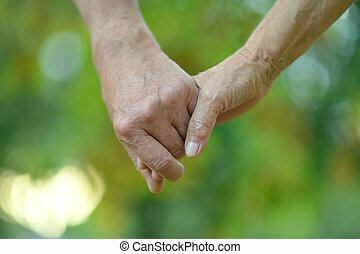 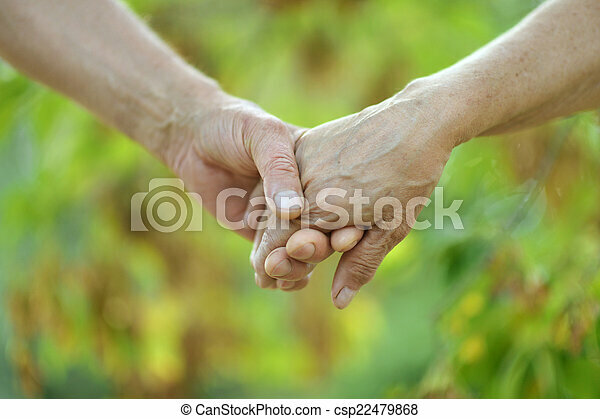 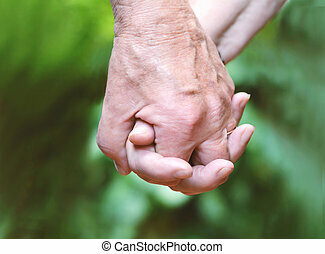 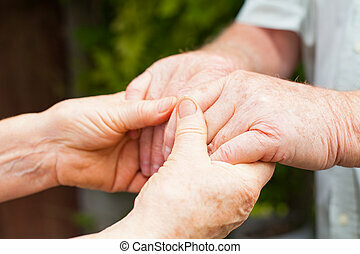 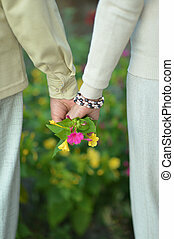 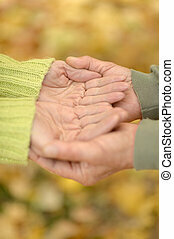 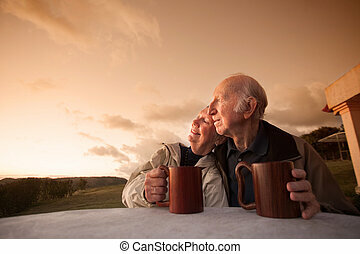 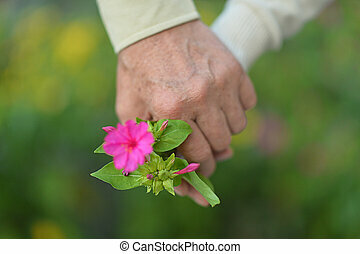 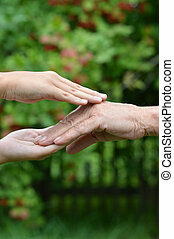 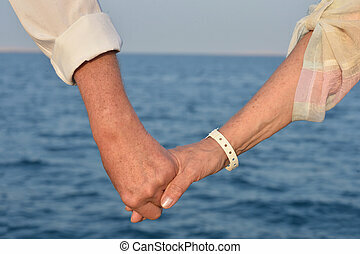 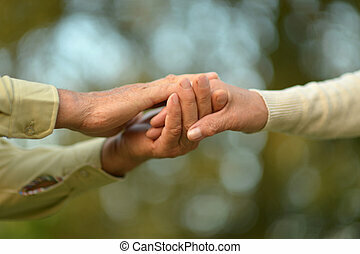 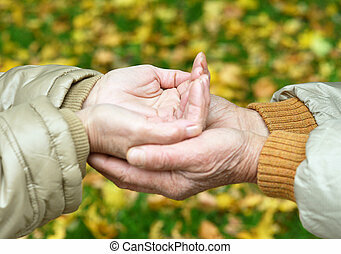 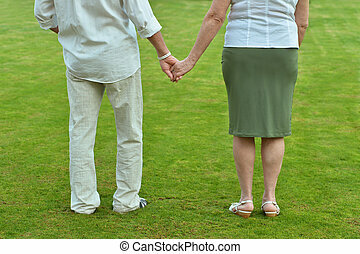 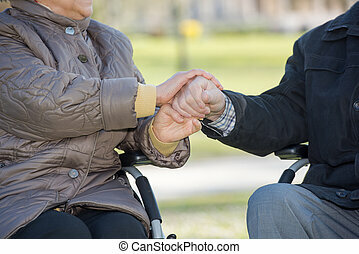 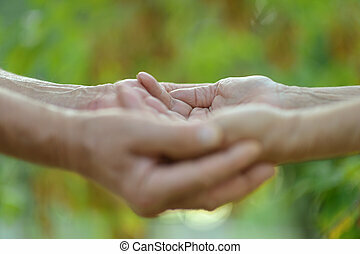 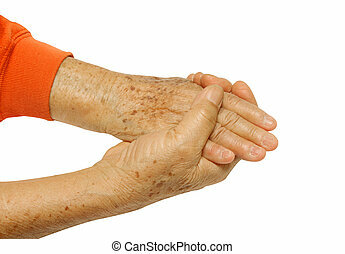 Close up of elderly couple holding hands outdoors.